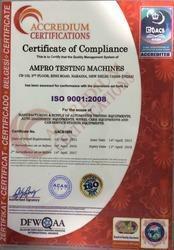 We established our organization in the year, 2003 under the name, Ampro Testing Machines, as a prime manufacturer, supplier, trader and exporter of Automobiles and Car Diagnostic Equipment. We make solemn efforts to provide a range of products that stand a class apart in the market, including, Car Scanners, Wheel Alignment Machines and Vehicle Scanners amongst an array of other products. We Stay true to our efforts in providing our clients with accuracy along with quality while maintaining abundance in supply. We encourage our clients to avail benefits from the best output in terms of provision of services for their specific automotive diagnostic needs. We conduct our business practices on ethical grounds while maintaining strong bonds based on trust. We hope to incorporate more alliances into our organization to aid in maintaining long standing business relationships for mutually beneficial business associations. Our exporting countries are South Africa, Dubai. We gather all our abundant resources to enable our infrastructural stronghold yield better produce. We possess high tech equipment within the boundaries of our industry with striking features. Our manufacturing and assembly division produces each product using the best raw materials available in the industry that is procured from the most trusted vendor base. Our experienced professionals work alongside ultra-modern machinery and robotics to ensure precision and accuracy in our end products. We are dedicated in our services and yearn to provide our clients exceptional solutions using our long standing experience in the industry. Our precision in providing unmatched quality and functionality has earned a large client base of repute. We look forward to forming more alliances and welcoming new clients into our circle of mutual business development. Under the mentorship of our proprietor, Mr. Manoj Kumar, we endeavor to exceed expectations with our services. Our priority is the satisfaction of our clients, which we strive to achieve on a daily basis, while maintaining strict principles of unbeatable services. Our organization is set within the boundaries of an infallible infrastructure. We make use of state of the art machinery, housed within a campus of vast expanses to ensure an unmatched rate of production. We divide our organization into various departments, specific to each line of work to facilitate productivity within a chain of command. Our state of the art machinery is embedded with high-tech software to aide in the manufacture of our equipment. 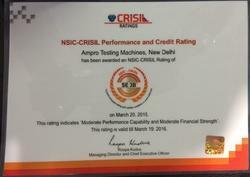 We also make use of robotics and precision software to enhance the accuracy of our manufactured products. We are proud to associate ourselves with a distinctive team of professionals who are adept in their fields. Our employee base ranges between professionals from various walks of life, who work round the clock to ensure an unfaltering rendition of services. Our employees are adept in particular fields such as engineering and designing which helps us in terms of overall capacity to produce mechanical products that are robust in nature. We proudly associate ourselves with a range of vendors of high repute. Our vendors are established businessmen who have aided us in providing exceptional services through an exquisite assortment of raw produce. We maintain a long standing association of trust with our vendors and ensure all our material is quality checked for better performance. Our efforts towards providing our clients with unmatched services are fulfilled due to the presence of a dedicated vendor base who aide us in procuring superior materials for produce.